Walden fosters a six-year old boy on Two and a Half Men Season 12 Episode 5. But can he really handle the responsibility involved? 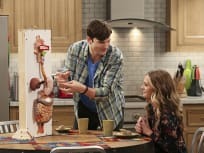 On Two and a Half Men Season 12 Episode 4, a mother-to-be meets Alan and Walden in her search for suitable parents for her child. Did they choose this couple? On Two and Half Men Season 12 Episode 3, Alan and Walden attemtp to convince a social worker that they're a loving couple and capable of adopting a child. "A Chic Bar in Ibiza"
On Two and a Half Men Season 12 Episode 2, Alan becomes offended when Walden ask to get a pre-nuptial agreement. Also, Michael Bolton guest star. 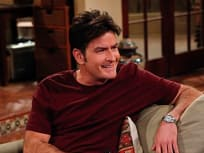 On the season 12 premiere of Two and a Half Men, Walden has a health scare on Halloween and asks Alan for help changing his life. Two and a Half Men Season 12 Episode 15: Full Episode Live! Two and a Half Men Season 12 Episode 14: Full Episode Live! Two and a Half Men Season 12 Episode 13: Full Episode Live!